This is a bit of a late post but a couple of weeks ago we went to two Mariner's games. The weather was terrible. They had to close the roof for one game. However, we got these awesome souvenirs- compost! 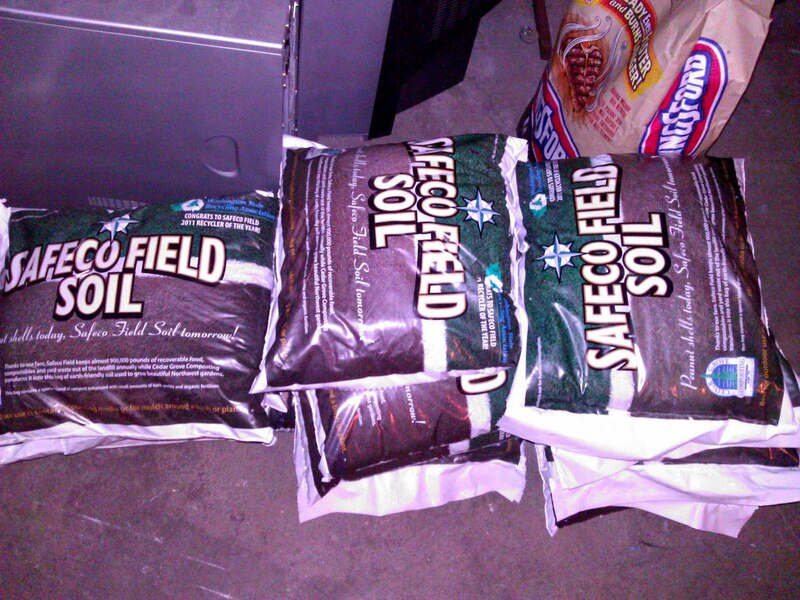 Cedar Grove Compost was giving out free bags which were made partly of waste from Safeco Field. Compost isn't cheap so I made everyone grab some! We forgot about it in the trunk until yesterday when I got in the car and gagged from the smell. Don't leave compost in your trunk.